EL CAJON – The Christian High boys basketball team wrapped up the finale of the two-day Martin Luther King Jr. Showdown girls and boys events at Ryan Athletic Center. The tournament staff did a great job over two long days of basketball on Saturday, and again, on Monday. 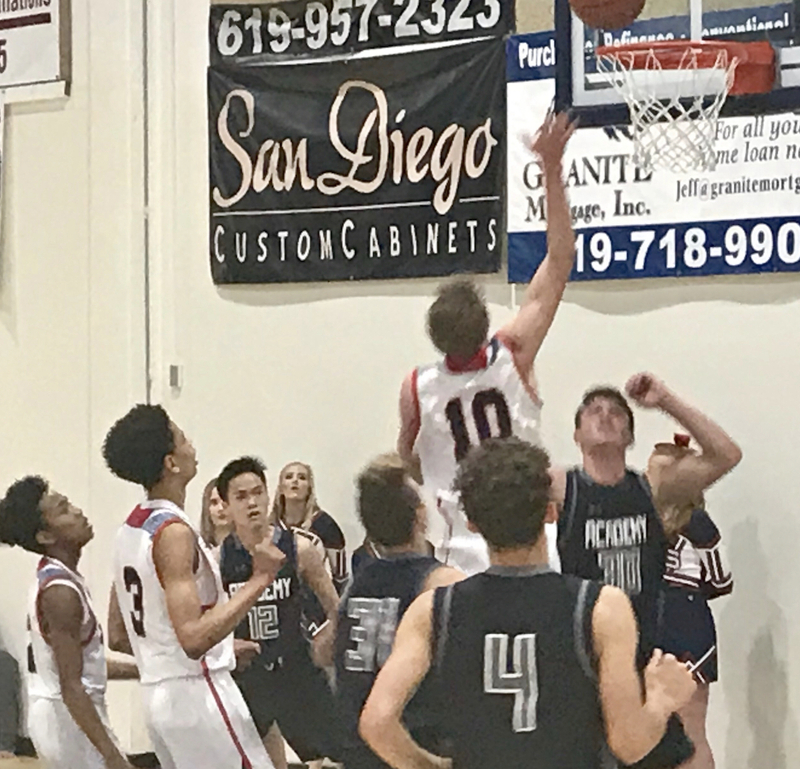 And although the Patriots’ 50-28 win over Canyon Crest Academy dragged on well past 9:30 p.m., the Christian High boys had this one wrapped up by the end of the third quarter thanks to a suffocating defensive effort. 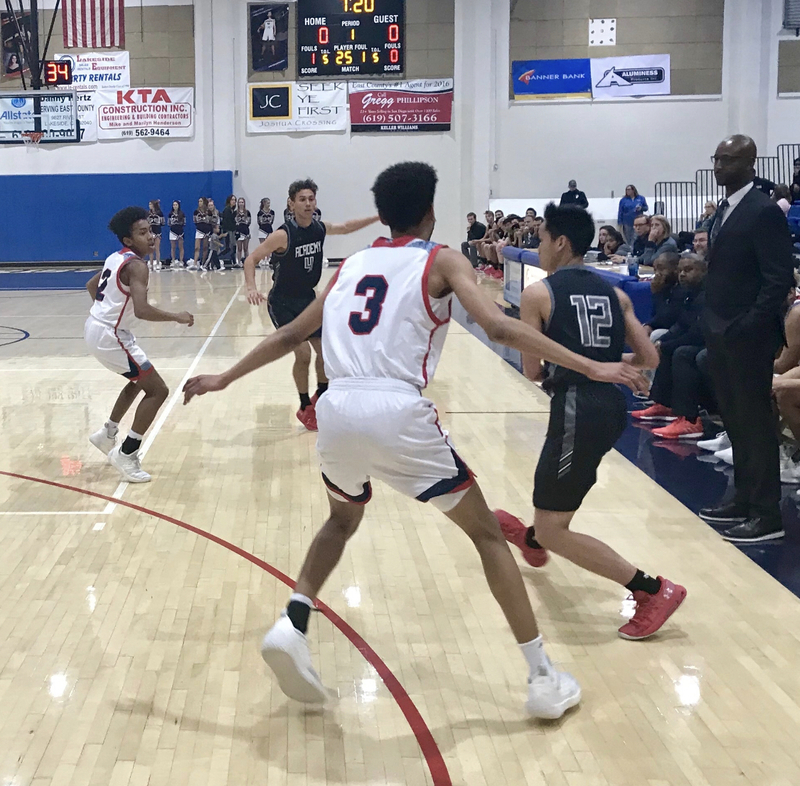 The Pats’ held Canyon Crest to just seven points in the first quarter and 13 over the first half, as Christian held a 15-point lead at halftime. Entering the fourth quarter, the Patriots led 37-19. Christian senior JACKSON LARSEN scored 15 points and junior teammate KOBE SANDERS added 10 points, as the Pats improved to 11-11 on the season. 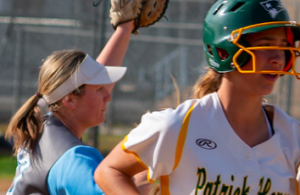 The Patriots seemed to have everything going there way, while the Ravens seemingly couldn’t get out of their own way, making it look easy at times for Christian High. Most importantly for head coach DAVION FAMBER was to see the on-court presence of 6-foot-9 junior PATRICK ROBERTS, who returned to the floor from an injury, scoring a field goal in both the first and fourth quarters. Junior guard MILES WILLIAMS added seven points for the Pats, while freshman guard VINNY SIGNORELLI knocked down a three-ball in the fourth. Christian High gets no break, having to face No 1-ranked St. Augustine on the road on Tuesday at 5:15 p.m.
O’Keith had another strong game and led all scorers with 26 points as the fifth-ranked Knights improved to 13-5 overall. O’Keith put an exclamation point on the first half with a buzzer-beater field goal. The Knights scored the first seven points of the game and led 23-13 after one quarter and by 20 points at halftime, as D.J. CARTER-HOLLINGER had eight points, six rebounds and four assists in the first half. Alemany closed to with 51-36 by the end of the third quarter. The Wolf Pack lost to a Colts squad that earned just their fifth win of the season. West Hills is going to need a string of wins to get back into the Division II playoff hunt. 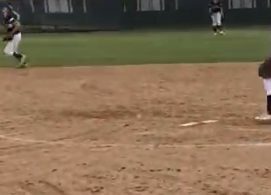 “I would be lying if I said this was not a bad loss for us,” West Hills coach ELIAS TOTAH said. “We went flat in the second half on the offensive end. Crawford packed it in and forced us to shoot perimeter shots. “We couldn’t buy a bucket. The effort was there on both ends, but we were stagnate offensively which resulted in the loss. ESCONDIDO CHARTER 55, LIBERTY CHARTER 53 – Liberty Charter got off to a nice 14-7 lead after one quarter and led 43-35 after three quarters, but the White Tigers outscored the Lions, 20-10, in the fourth quarter at the MLK Showcase at the Ryan Center. The Lions’ JONAH BELPREZ and ALEX FERRER made back-to-back field goals in the second quarter as LCHS held a 25-17 advantage. 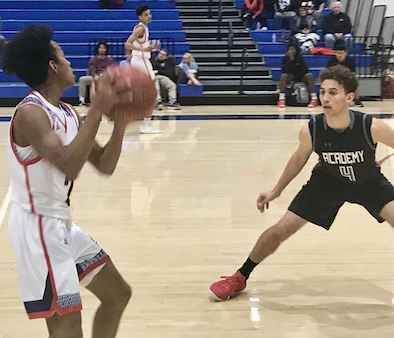 Ferrer had a three-pointer in the third quarter and senior JAVIEN LANKFORD added a field goal as the Lions kept their lead. 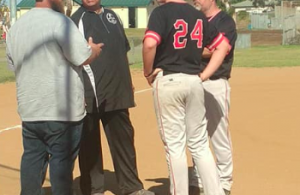 Once Escondido Charter rallied to tie the game at 33-all, Liberty Charter (7-10) went on a run led by Belprez and senior MANNY LOPEZ to re-assume control. Liberty sophomore TYLER SNELL added a three-pointer to make it 52-45 but the White Tigers went on a 10-1 run to win it on a pair of free throws with under a minute remaining.